The software allows the provision of cataloging all your favorite plants in the software with their names, attributes, any special or general description, specific maintenance notes for every plants and even their pictures, besides several other related things. The software also allows storing of information pertaining to different garden solutions and even maintenance of notes relating to your desired landscape design or any common gardening problem that you encounter often. 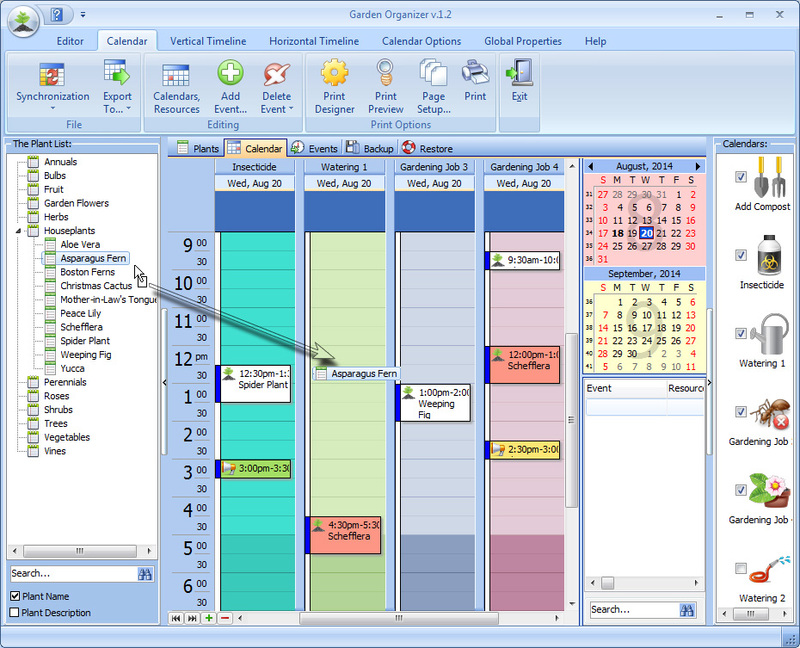 The software also comes with a built in scheduler that allows perfect management of time and appointments in an efficient manner to make things more convenient, the option of dragging and dropping plants on convenient time slots is also available in the program making it convenient to make and remember appointments. Also those individuals who require converting their entire graphic and text data into HTML can do it using the feature in the Garden Organizer. The program also offers the benefit of synching exported data in it in several different formats including XML, TXT, XLS, HTML and iCal making it convenient to adapt to several other programs. The feature of auto search and auto field filling of a plant is also available among those present in the database. Viewing daily expenses aggregately or on a day to day basis is also possible whenever you require it. The program can also print out instantly whatever information you want from within the program. Various internal optimizations and bug-fixes.